Vitamins & MineralsNOW Foods GTF Chromium 200mcg - 100 tabl. 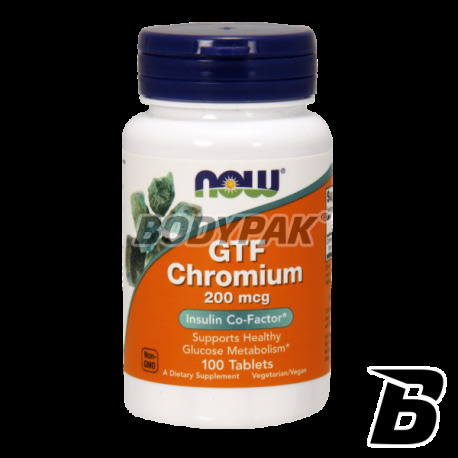 NOW Foods GTF Chromium 200mcg - 100 tabl. 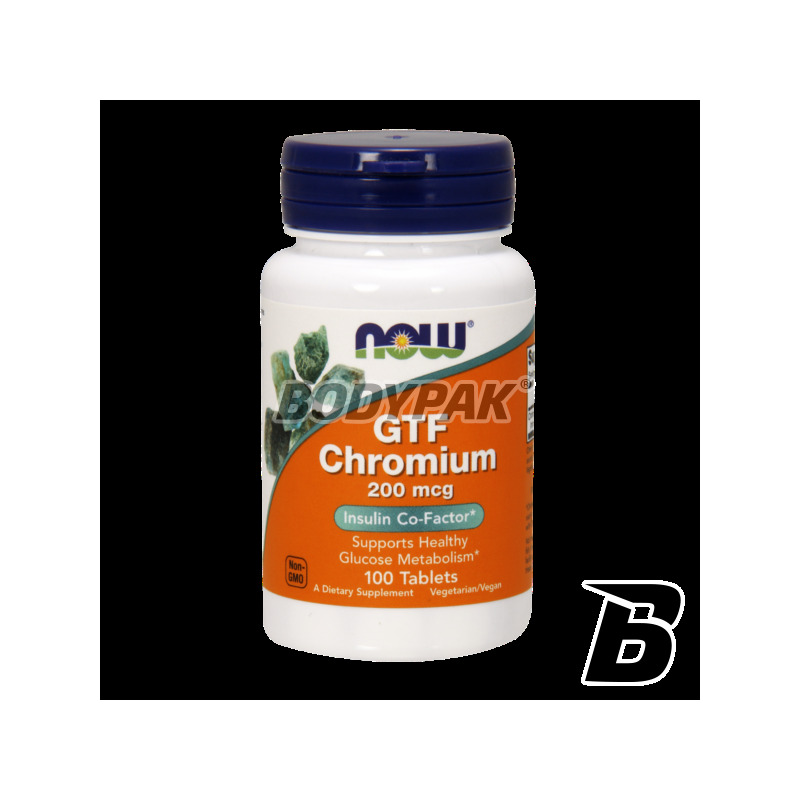 GTF Chromium - is a dietary supplement containing the best assimilable and the safest form of organic chromium (glucose tolerance factor - GTF) in the form of bioactive micro-nutrients, which are biological connections hexavalent chromium with weak organic acids. Chromium is an essential mineral component responsible for weight control and proper functioning of the metabolism. Chromium - an element essential for life and proper functioning of our body. Responsible for regulating the activity of many enzymes, it reduces the production of insulin and interacts with it in the process of protein synthesis, reduced levels of both total cholesterol and LDL which, promotes glycogen synthesis, increases the concentration of glucose in muscle and helps to regulate appetite. One serving (1 capsule). After breakfast. (pochodzenia roślinnego), powłoka tabletki z surowca roślinnego.